The Access Lincoln was formerly Access LN6. A new footway and cycle path on Station Road has been officially opened after disruptive works were completed ahead of schedule. The scheme to build a new footway and cycle path from Hykeham Station to Whisby Road began in October 2014, and was expected to take 16 weeks. The start of the work signalled issues for a number of local businesses and residents. As a result, a petition was created. Due to good weather and no unforeseen issues, as well as extra resource and weekend working, the path was completed on Christmas Eve. 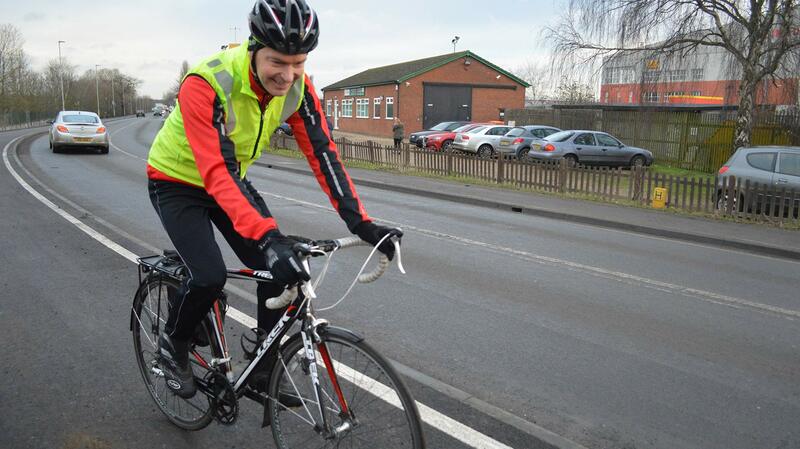 The new footway and cycle path from Hykeham Station was funded through Access LN6 at Lincolnshire County Council. Although completed before Christmas, footway improvements from Persimmon Homes as part of their housing development, have taken place throughout January. Station Road was closed last weekend to surface the footway and carriageway, and the scheme is almost complete. There is a minor section of footway surfacing and tactile paving to be completed at the entrance to Hykeham Station, once an electricity pole has been removed. The county council say the road will not have to be closed again to complete the works. 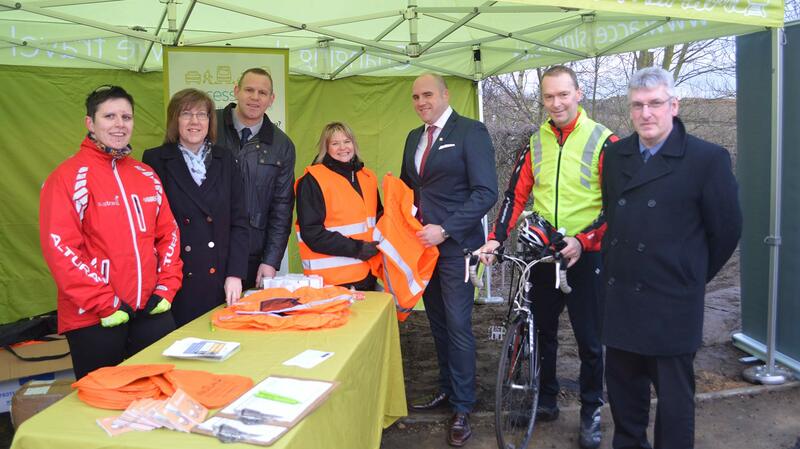 The Access LN6 team at Lincolnshire County Council provided pedestrians and cyclists with free high-visibility clothing and lights to mark the official opening of the path on Tuesday, January 27. The team celebrated the official opening with a winter safety event. Councillor Richard Davies, Executive Councillor for Highways and Transportation, said: “We are really proud to launch the new footway and cycle path on Station Road today. Andy Bennett, Service Applications Engineering Manager at Siemens, said: “Since the Access LN6 programme began in 2012, we have been working with Lincolnshire County Council to encourage infrastructure improvements to the business district in LN6.